1 - robe/s $33.00 ea. 2 - robe/s $29.95 ea. 6 - robe/s $28.95 ea. 12 - robe/s $25.95 ea. 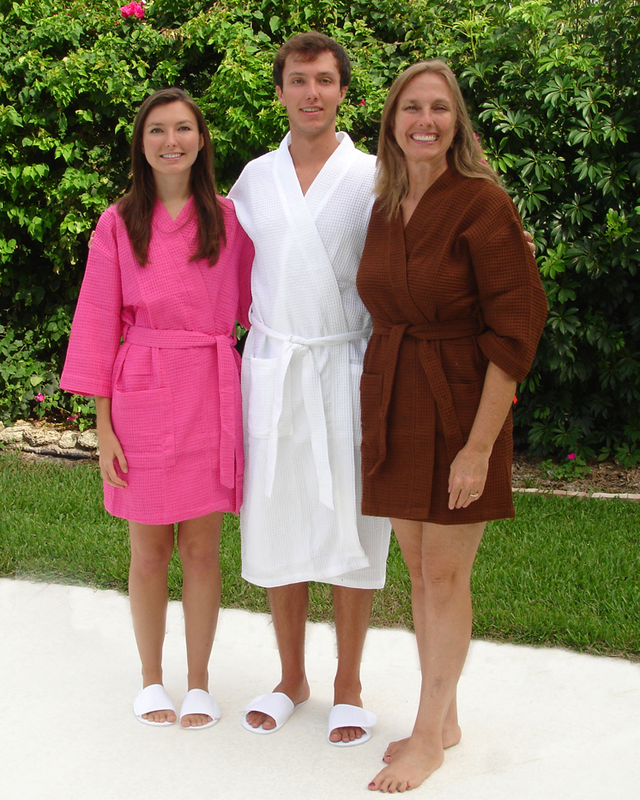 Stylish Waffle Weave Spa Kimono Robe perfect for wedding parties, pool side cover-up, college dorm, wedding gifts, traveling, spas, bed and breakfast inns, or lounging at home. • The One Size in the Longer 48 inch length is $7 more per robe and Size 2XL is $7 more per robe.